There's a special election for NYC public advocate in February. Here are the details. You may have heard something about another upcoming election in NYC. If so, your spidey senses are exceptional. When Tish James was sworn in as state attorney general with the new year, she vacated her role as New York City public advocate, necessitating a nonpartisan special election on Feb. 26. It’s a reasonable question, given that people have long called for the office to be abolished, and it serves minimal concrete purpose other than to be a sort of “ombudsman” for the public. But a vocal public advocate can use his or her bully pulpit to raise questions about city issues. The official is also second in line of succession to hizzoner. And more to the point, the office has recently been a launching pad to higher callings: see James’ path to Albany, and one Bill de Blasio, who jumped from advocating to mayoring. That’s especially true here. The winner in February serves a short term through the end of 2019 with another primary and general to settle the officeholder through 2021 (the next mayoral election). But a new law awaiting Gov. Andrew Cuomo’s signature would push primaries to June. Not exactly a lot of time for a challenger to get momentum. Basically, everybody. 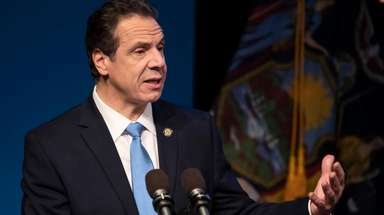 The surprise vacancy (James only had a shot at attorney general because former AG Eric Schneiderman resigned after misconduct allegations) unleashed the NYC political hordes. City Campaign Finance Board filings log 23 candidates, though the ballot won’t be finalized until a city Board of Elections hearing on Jan. 29. The frontrunners typically mentioned by political insiders include Brooklyn City Councilmember Jumaane Williams, Bronx Assemb. Michael Blake, and former City Council Speaker Melissa Mark-Viverito. Williams, who has been endorsed by the Working Families Party, ran a close primary for lieutenant governor in the fall. Blake is the vice chair of the Democratic National Committee, which has brought support from national-level players. And Mark-Viverito has her previous citywide position to run on. But there are plenty of other ambitious elected officials who have been gearing up for the race, including Brooklyn Councilmember Rafael Espinal and Eric Ulrich, who represents parts of Queens in the council. Mark-Viverito, Blake, and Williams have an edge in private funds so far (more filings are due on Friday). For Mark-Viverito, that’s because she transferred almost $180,000 from a previous campaign committee. Williams and Blake say they will have more than $1 million once they received public matching funds. Those national connections seem to have helped Blake: his filings show contributions from the likes of impeachment philanthropist Tom Steyer and actor Ethan Hawke. There are many ways to make predictions. Beyond the usual fundraising and name-recognition factors, some observers say where a candidate is listed on the ballot could play a role -- too far down and you’re sunk. Ballot placement is decided by the order that politicians got their petition signatures in. As mentioned, the final ballot will be out soon, but this analysis might benefit Dawn Smalls, a former Obama administration lawyer from Manhattan who turned in her petitions early and is also not far behind the fundraising leaders. Or, consider that so many Democrats splitting the vote might boost Ulrich, a Republican. Or, take a gander at the celebrity support and social media activity of Nomiki Konst, a Bernie Sanders-aligned activist and organizer who got donations from Susan Sarandon and musician Alex Ebert of Edward Sharpe and the Magnetic Zeros. Or, remember that turnout will likely be low for a special election race, so anything can happen and any number of issues (Amazon, the MTA) might lift or hurt contenders. Bruce Gyory, a Democratic political consultant not working for any of the candidates, even brought up weather as a potential factor, a late snowstorm maybe doing what he said a relatively rare November snow did in the 1954 gubernatorial race: depressed Republican turnout upstate, allowing Democrat Averell Harriman to squeak through. How can I learn more about the candidates? Tune in to the two official debates on Feb. 6 and 20. What’s in it for the losers? It’s a free chance to raise profiles for current officeholders or newcomers who weren’t even looking for new work. They can build name recognition for future runs, including borough president or City Council. If they don’t run through to the end, they can even keep some of their private funds in stock toward that next race. It all makes for a ridiculously crowded field, but wouldn’t the opposite be worse? “When we only have one or two people running, we complain that we're not building or supporting a bench," says Christina Greer, associate professor of political science at Fordham. There’s a bright side to numerous candidates: “Primaries matter, competitive elections matter."